Still looking for the way to get more free coins? Join our "Members' Day" program! 1. 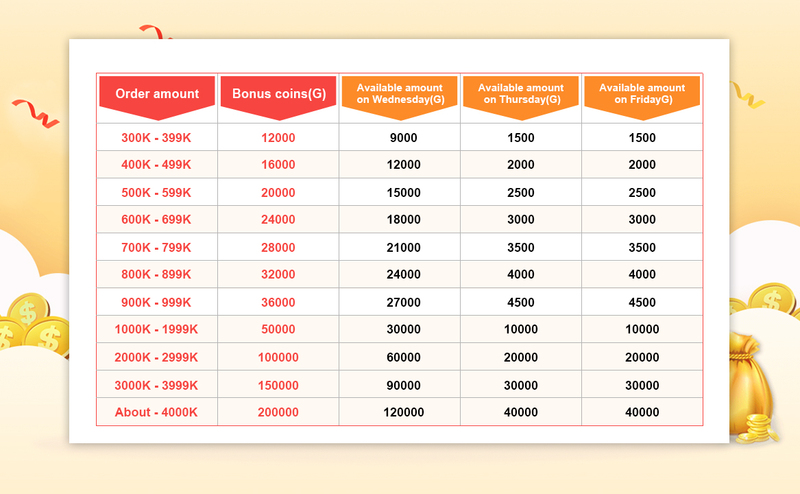 How much bonus coins can I get from different order amount on Wednesday? 2. How to get free coins? 1). After you finished the payment on Wednesday, turn to the top of any page, you can see the available coins on the button and simply click it, you’ll get the first part. 2). On the next two days, Thursday and Friday, sign in FIFACOIN.COM, simply click the again, you’ll get the second part and the third part. 3). 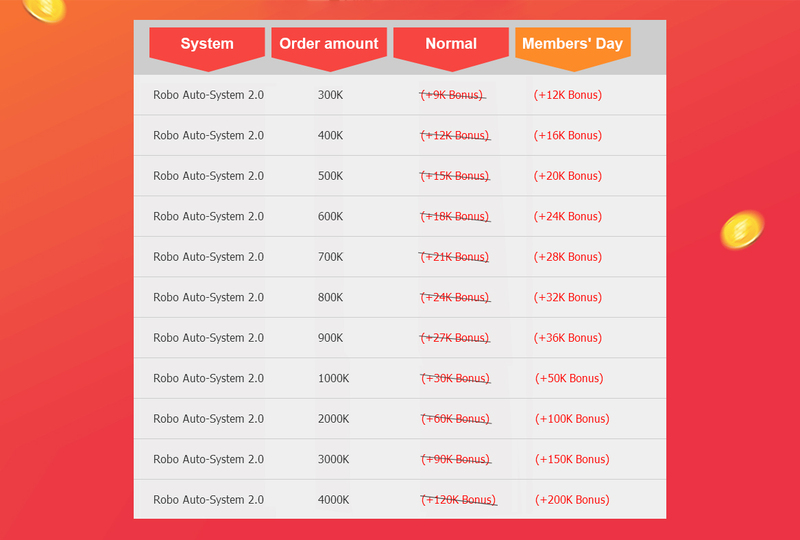 If you make two orders or more that all reach the requirements, you can enjoy both times of the bonus coins. And just do the same as the first time you did. The rest of the coins will be counted together and will available for the next two days. Attention: Don’t forget to log in and click the button in one of these days, or you’ll lose that part of the coins. Previous: TOTY TOP 10 Winners Announced!